Welcome to our third block from Pat Sloan in her FREE 2014 Mystery BOM! 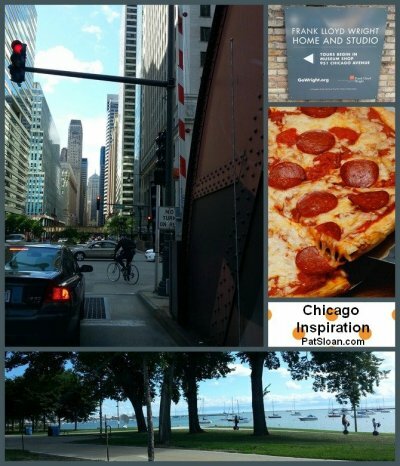 March is a blustery, breezy month and so this month Pat is taking us to the Windy City; Chicago! 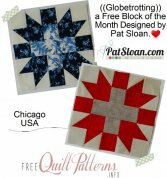 This month's block was inspired by a wonderful experience Pat had in downtown Chicago. We hope you will find your own 'downtown' inspiration as you create YOUR block! 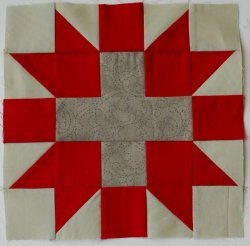 Download BOM Materials List and Block Three Pattern! Click Here to download the PDF of the pattern for Block Thee: Chicago. For our third city we head up to Chicago! I've been through Chicago a few times. And I've taught in guilds and shops around the Chicagoland area, but I've not actually stayed downtown to experience the city. We were there in late summer and it was beautiful. I'm a huge fan of vibrant downtown cities and our drive through did not disappoint. I want to go back and be able to walk miracle mile, eat at the great restaurants and go walk the lake front. For our third city block I was inspired to put the 'courtyard' in the center of the star. When we walked around the suburbs of Chicago this last time we came upon an amazing little courtyard restaurant just off a main street.. it was delightful and we had the best pizza. That little afternoon inspired my block this month.